We provide clear and concise information to help you get set up and using your GPS Tracker. If you do get stuck, you'll have access to our super-useful online help portal, offering stacks of extra detail, tips and advice for best usage. Of course, we're also here to help! Your welcome sheet will walk you step-by-step through activating the pre-installed SIM (page also has information about the cheap ongoing SIM usage costs), which takes a few minutes. You’ll register your own online account with the SIM network, add your £10 credit (and get £5 free! ), which you then look after on your own (as you would with a mobile phone). The helpful manual contains a quick-start guide, then more detail about the various optional functions if you need them. Its useful to set at least one number into the device, which can then receive alerts if the SOS button is pressed, or if the battery is running low (less than 15%). You can learn more about setting up various numbers here. The person being tracked... doesn't have to do anything! The GPS Tracker responds automatically to location request texts - they won't even know its locating or texting out. If you call the device - it will answer automatically after buzzing - they don't need to press any buttons. They don't need to do anything! Our Stray Star GPS Tracker for Dementia comes with an optional charging cradle for easier charging, or you can simply plug the enclosed USB lead directly into the side (under a waterproofing rubber seal). It takes about 3-5 hours to charge, but will arrive with about 50-70% battery for you to get started. You will register your own account when activating the pre-installed SIM. You can log in to check your remaining credit at any time. 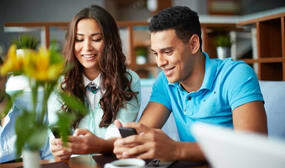 When activating the SIM, you can tick a box to select auto-renewal, where it will top up with £10 of credit whenever it drops below £2 (limited to three top-ups a month). If you are using the £5 per month inclusive goodybag option (which is more than enough for even heavy usage) then it will automatically renew each month. You can always change these options at any time. 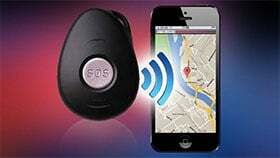 – Default: The GPS Tracker responds to motion, locating itself whenever it moves. This allows for readily available, accurate locations, but means the battery will drain the more the device moves. It will typically last 3-4 days, but may be slightly less if geo-fencing or online tracking are also used (as they mean the device locates itself every few minutes). – Power-saving: This disables the motion sensor, meaning that the device only locates itself when you text for a location. This gives a longer battery life (up to ten days), but means that the GPS Tracker has to locate itself afresh each time. This mode is only useful if the device is outdoors and has a clear signal – if indoors, it may not refresh its location and will report an old location (with the appropriate timestamp) instead. – Hibernation: The GPS Tracker will hibernate if not moving, and will no longer be receptive to calls or texts. When it moves, it will wake up for a set window of time (e.g. 20 minutes, or an hour – you decide) and will hibernate again after this time, if its no longer moving. This can be useful for automatically switching the device off overnight – if the person happens to wander, it will wake up again. The battery life in this mode will be up to 30 days if there is no motion.